North Georgia Replacement Windows® understands the unappealing appearance and issues of condensation on your windows. With the Infinity® from Marvin® fiberglass windows, condensation can become the least of your worries. 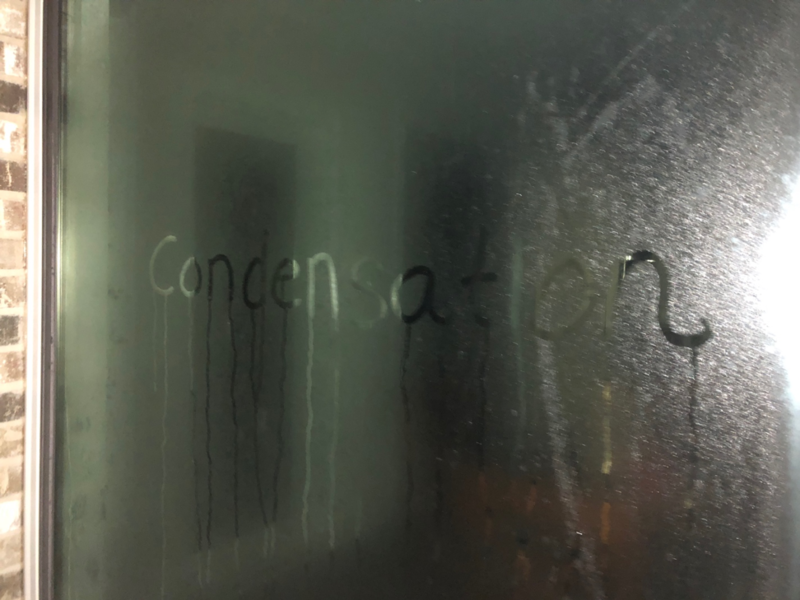 Condensation is a process in which the water vapor in the air changes into liquid. Unfortunately, that liquid can stick to your windows. This happens when warm, moist air comes into contact with cooler surfaces, such as windows or doors. There are a few reasons why this happens. The inside humidity levels of your home are important. Any source that contributes moisture to the air can cause condensation such as showers, sinks, washers, house plants, and even people sweating or breathing inside. Exterior condensation normally occurs in warmer climates in the mornings and typically evaporates as the outside temperatures rise above dewpoint. If you are experiencing condensation on the exterior, this is actually good because it means your window insulation is working properly. While you can control condensation on the inside, condensation on the outside can be inconvenient. Condensation on the interior of your home can cause discoloration, staining, peeling of wallpaper, and blistering paint. Mold, mildew, rotting and decay may also occur or cause health problems. If you are experiencing interior condensation, check your HVAC units or work to decrease excess moisture from the inside. You often see replacement windows with condensation between-the-glass. This can be an issue of seal failure. If you have aluminum, wood or vinyl windows, this could be happening to you. Windows replaced by most companies are made of wood, vinyl, or a mix of materials. With North Georgia Replacement Windows, we offer the Infinity from Marvin Ultrex® fiberglass window. Ultrex®, compared to other materials, has a lower expansion rate, which means a stronger seal. Seal systems are meant to resist temperature changes, heavy sunlight, and moisture. In most windows, over time the seals begin to fail because of the material. With the Infinity from Marvin fiberglass windows, every part of the window is made with the same base material, silica sand. This abundant natural resource allows Infinity’s windows to expand and contract at the same rate, so Infinity’s windows work together and not against each other and never experience between-the-glass condensation. North Georgia Replacement Windows uses long-lasting Cardinal IG® (insulated glass) Unit Construction to seal windows. Cardinal uses a dual seal system with polyisobutylene (PIB) as the primary seal and silicone as the secondary seal. Cardinal also decreases any chance of moisture entering the unit by using four bent corners versus typical four joint corners in the spacer. Cardinal’s dual seal system outperforms most other IG unit constructions. Are these issues familiar to you? Do you have seal failure? 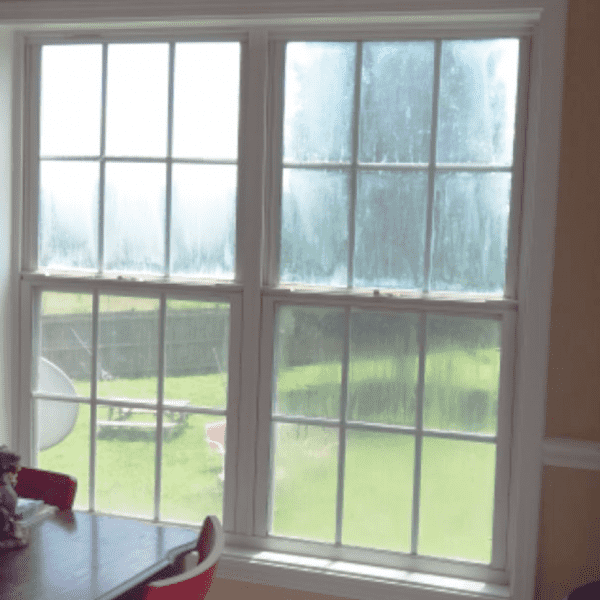 Contact North Georgia Replacement Windows to replace your foggy windows or answer any questions you have about condensation.